Read the entire article and see the artwork here. “Trees are sanctuaries,” wrote the German poet and philosopher Herman Hesse. “When we have learned to listen to trees… that is home. That is happiness.” In his book Trees: Reflections and Poems, Hesse makes the philosophical case for trees, and how they are the key to essential notions of truth, beauty, home, belonging and happiness. The phrase ‘tree hugger’ may have long been used as a term of ridicule, but it seems Hesse might have been onto something. Now ‘tree time’ is enjoying a resurgence in popularity – on social media the tree hashtags #treesofinstagram and #lovetrees are rapidly proliferating. And the practice of Shinrin-yoku, the Japanese term for ‘taking in the forest atmosphere’ or ‘forest bathing’, is currently back in fashion as a popular type of preventative health care and healing in Japanese medicine. In recent years, there has been a sharp rise too in tree literature, with new books on the subject appearing regularly – among them The Hidden Life of Trees by Peter Wohlleben, Strange Labyrinth by Will Ashon, The Long, Long Life of Trees by Fiona Stafford and the allegorical tale The Man Who Planted Trees by Jean Giono, to name just a few. So why the recent tree obsession? Why are writers and artists so drawn to trees as a subject? What can trees teach us? 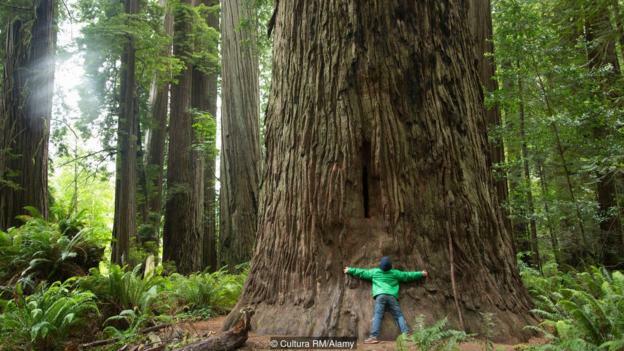 Can trees actually make us happy and more tranquil? Not that trees are a new subject in literature, of course. Hesse is just one of many authors, poets, artists and philosophers who, over the centuries, have been inspired by trees and woodland. Other examples include 19th-Century English poet John Clare who wrote in rural dialect and whose poem The Fallen Elm explores the freedoms both lost and gained with industrialisation, when swathes of ancient woodland were felled. William Wordsworth’s poem It Was an April Morning, meanwhile, captures the beauty and promise of a tree in Spring. Among the tree-themed books to emerge recently is an anthology, Arboreal: A Collection of New Woodland Writing, which explores the literature, history, mythology and folk culture of trees and woodland. It features essays by architects, artists and academics as well as by authors who have an association with or affinity to trees and forests. Contributors include poet Zaffar Kunnial, authors Tobias Jones, Helen Dunmore, Ali Smith, Germaine Greer, Richard Mabey and more.